There are over 200 different ranking factors that Google takes into account, and one of the big SEO ranking factors is page load speed which is the time your web page takes to load. In 2010 Google made an announcement that Web Page Speed was a factor they using to rank sites on. Since they announced this Google and others have bought out a range of tools to measure and analyse the speed of your website including Google PageSpeed Insights where you can easily enter your website URL and it will show your page speed score for both mobile and desktop. It also shows you suggestions on how to fix the issues slowing your website down. And will also provide you with a downloadable link with compressed optimised images if they are too large which is a very common issue in the load time of your site. All of this points to how much importance Google place on pagespeeed. According to Google’s own internal studies, when a page loads slowly visitors to your site will spend less time on it and that faster loading pages improve the overall user experience among other things. Page speed is critical for the SEO of your site, it affects every metric that is vital to the success of your business online. Including the Bounce rate, Search engine rankings, Conversions, Page views, User satisfaction and finally revenue! If you have an eCommerce website a slow page speed can really frustrate visitors and they will abandon your site in favour of a better user experience. 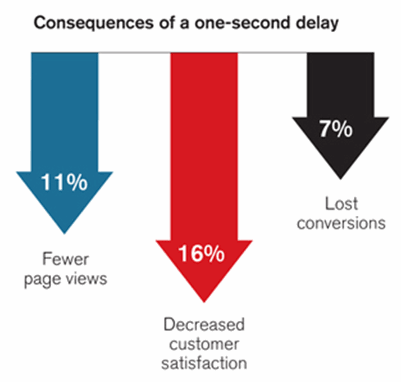 In a recent study by Strange Loopshows a 1-second delay on page load time can yield a 7% loss in conversion. And a study in 2012 showed that One Second Could Cost Amazon $1.6 Billion In Sales. 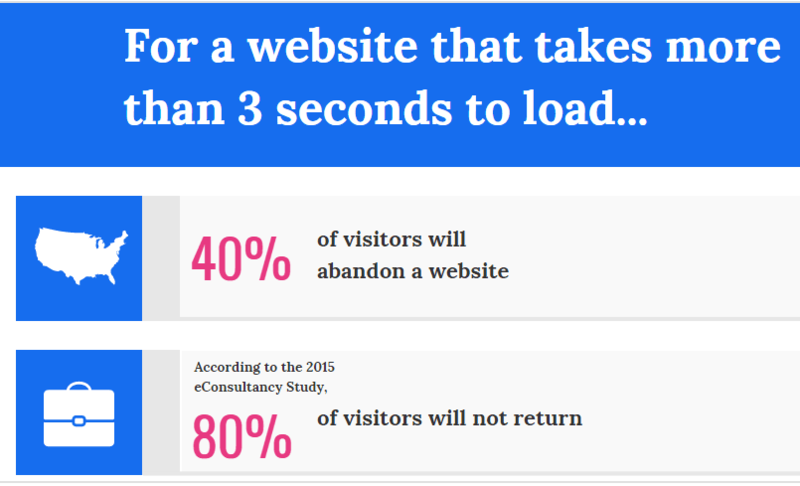 A study in 2015 by Akamai and Gomez of 1,048 online shoppers revealed that 47% of people expect a web page to load in two seconds or less, and 40% will abandon a web page if it takes more than three seconds to load. And 73% of mobile users surveyed in a recent study reported that they’ve encountered websites that were too slow to load. In conclusion if your website pages are slow, you’re fighting a losing battle to reach the top of the seacrh results for the keywords and seacrh terms you are targeting, even if your website has great useful content and your nice professional website design looks fantastic.